Ford's bread and butter midsize sedan is going to be all new for 2013 and it simply looks amazing. 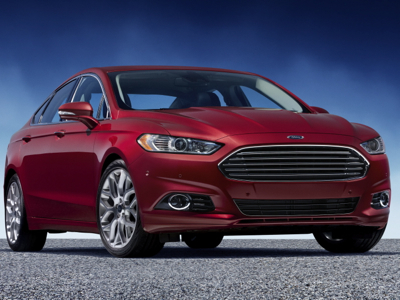 The body is a bold departure from the current Fusion and also showcases the new design language for the Ford brand moving forward. The new design takes clear inspiration from the EVOS concept car that appeared at the Geneva Show and there also appears to be a definite Aston Martin influence in the grill and lights.